Hello! Day 46 and here's my new creation. I name it floopy! 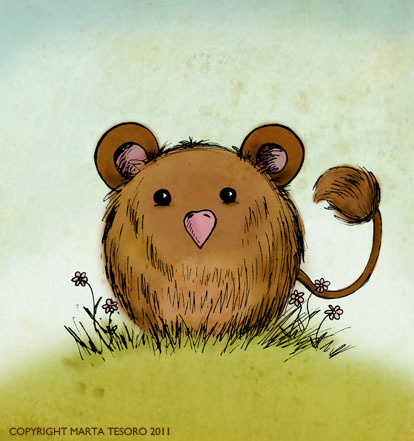 It's a combination of a mouse, a teddy bear and a bird of some description. Done in Photoshop and with inks. Very cool. Reminds me of an animal I saved from a cat the other day..... I use the word saved loosely. Everyon can have a floopy-like creature!